I know I write a lot about the wonderful children’s books of my youth, but I don’t want to miss out on the ones being written now. 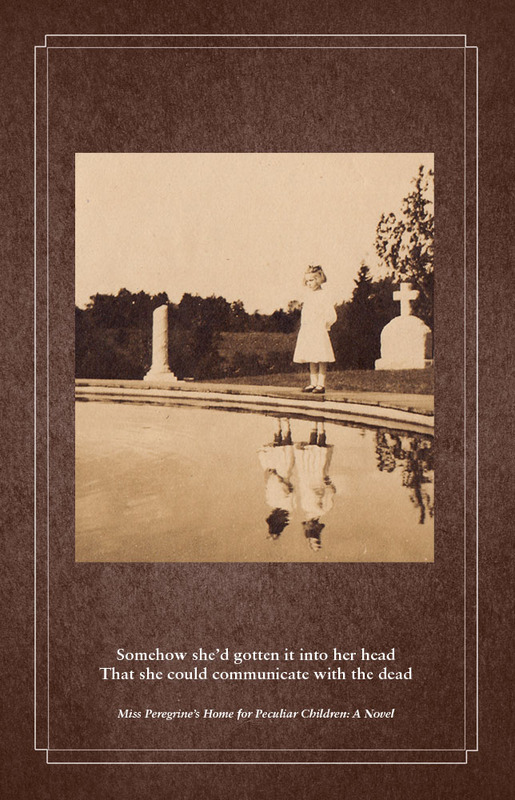 With that in mind, I picked up the newish Miss Peregrine’s Home for Peculiar Children (2011) by the fantastically named Ransom Riggs. 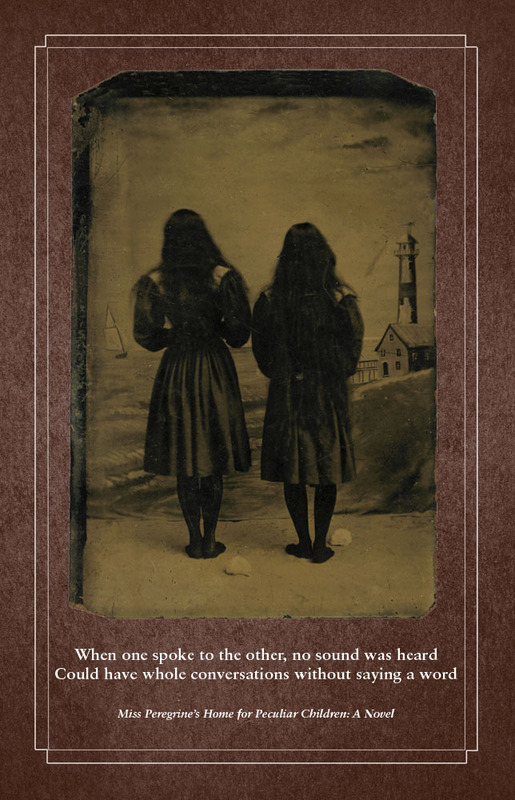 A little spooky, maybe, but I was intrigued by the idea of a boarding school type setting with some supernatural flair and the haunting, old-fashioned pictures. Plus, one review said it was like X-Men: First Class (I’m not ashamed to admit that I liked this movie – who knew Nicholas Hoult would become so cute?) meets a time travel story with David Lynch elements (who didn’t love Twin Peaks?). Sold. Spooky! Overall, a pretty fun book and a fast read for Riggs’ debut. Ok, so I think the book could have lived up to its promise better – there was so much potential at the beginning and I was genuinely scared at first. I can’t believe I’m saying this, but I wished that the book had been even creepier and freakier. It’s obvious that he set this up as a series, so it makes sense for him to hold back a little, but I think a good book, even in a series, should be able to stand on its own. And as for the pictures, at first I thought it was pretty neat-o, but after a while I thought that he was stretching and getting too carried away by his own cleverness. And the romance with the spitfire Emma makes Oedipus seem less creepy. I don’t want to give anything away. I like how Riggs used the idea that grandkids can take their grandparents for granted – not bothering to hear their stories and such – and turned it into this scary cautionary tale. I’m sure most kids would be more keen to listen to their grandparents if those stories also involved peculiar children and secret missions. Because of this storytelling and tall-tale aspect, and the obscure UK setting, I got a The Secret of Roan Inish vibe from the book – but I liked Roan Inish better. Selkies are so intriguing. I don’t know how this book will stand the test of time, but for now it was creepy enough (in a good way) and fun. It looks like the movie rights have been snapped up, and it’s not hard to see why. The screenwriter is the Brit Jane Goldman, the same as for X-Men: First Class (coincidence?) and a slew of other similar titles, and Tim Burton is hovering around the project. He seems like the obvious choice, but I’d be curious to see what someone new might do with this. As much as I quibble with the book, I’ll totally go to see the movie. But maybe in the daytime. Would You Live in a “House with a Clock in Its Walls”? I never liked being scared as a child, so I avoided scary stories like nobody’s business. I can’t even handle that Sleepy Hollow cartoon that schools like to show as a Halloween “treat” because it gives me nightmares. 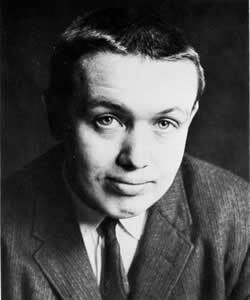 But I had to make an exception for anything by the American author John Bellairs. These gothic horror novels aimed at children were so exciting and wonderful that I was hopeless to resist, even though reading them meant that I probably couldn’t sleep that night (or week, to be honest). The first one I read was The House with a Clock in Its Walls (1973), the chilling story of a clock counting down to the end of days. So scary. When pudgy and lonely Lewis Barnavelt moves to New Zebedee, Michigan to live with his strange but kind uncle Jonathan Barnavelt after becoming an orphan, he doesn’t expect anything to happen to him. But when his uncle’s a wizard, and his next door neighbor’s a powerful witch, he finds that maybe a lot can happen. He also loves the house at 100 High Street – full of mysterious passageways and fancy fireplaces – but wonders why Uncle Jonathan and neighbor Florence listen to the walls. He soon learns that the house used to belong to the Izards, an evil couple who hid a ticking clock in the walls which counts down to time to Doomsday. And when he accidentally raises the dead on Halloween, the clock doesn’t have much longer to go. I think a big reason I could even read this book at all is because Bellairs was such a good writer and created such human, relatable characters. You can’t help but feel for Lewis, especially over his misguided friendship with the totally not worth it Tarby – a friendship that leads him to wake the dead. Kids do such crazy things to fit in, no? He had three main heroes who had their own series – Lewis Barnavelt, Anthony Monday (I love his name), and Johnny Dixon – and all of his books were so informative. For example, I learned that having pieces of the True Cross will protect you against most forces of darkness (see the Johnny Dixon novels). And the titles are all so exciting: The Mummy, the Will, and the Crypt, The Dark Secret of Weatherend, The Trolley to Yesterday. The list could go on. And it does, actually – he was quite prolific, you know. John Anthony Bellairs (1938-1991) never intended to be a children’s author, and The House with a Clock in Its Walls was originally written for adults. But since there was no market at the time for adult fantasy, he rewrote it as a young adult novel at his publisher’s suggestion. Someone should really thank that publisher. After his death, the author Brad Strickland was commissioned to continue writing stories based on Bellairs’ characters and some unfinished manuscripts. I haven’t touched them, but I really shouldn’t be so snobbish about that, should I. Another Bellairs draw is that Edward Gorey did many of the cover illustrations. In fact, since the first Gorey drawings I saw were Bellairs’ covers I had no idea that Gorey was famous in his own right. These illustrations are perfect for the books, so creepy and moody. Quite the match made in – well, a much scarier place than heaven. I think that winter is the best time to read Gothic novels, especially when it’s rainy and stormy and gray-y. With that in mind, I went back to Horace Walpole’s The Castle of Otranto, which is considered the first Gothic novel (published in 1764). I haven’t read that many Gothic novels, just some Ann Radcliffe and later Victorian curiosities like Sheridan Le Fanu, but I think it’s a hard genre not to enjoy. Still, the first time I read Otranto I remembered being vaguely disappointed since I had harbored such high hopes for this one. But maybe I’ve changed, or else my expectations were so much lower, since I enjoyed it so much more this time. It was good, campy fun and unintentionally funny throughout nearly the entire novel – parts of it play out like an extended Monty Python sketch. It was hard to take the author seriously, especially when he named the house where he lived Strawberry Hill – so cute! So I tried out this new BBC America offering last night, The Fades, a show about a teenage boy, Paul (Iain de Caestecker), who has apocalyptic visions and can see ghosts, or “fades” as they’re known in this world. I was hoping for some kind of campy, scary fun like Buffy the Vampire Slayer, but alas, I have to say that the show was kind of on the lame side. I already have a very low tolerance for scary things, and even I wasn’t scared by this show. The mythology was as unintelligible as Paul’s best friend Mac (Daniel Kaluuya), and the suburban setting was kind of unsettling. Still, it was interesting to see what a British suburb was like, even if it looked a little unappealing. Maybe that was the point? And it was also nice to see Sophie Wu, a part Asian actress, playing Jay, Paul’s love interest. Are there a lot of people of Chinese descent in Scotland? Or what? I probably won’t be continuing with this series, even though it’s so short (the season’s just 6 episodes, like many other British shows). Sigh. I guess Buffy was one of a kind. She is the Slayer, after all.